Nistec is a leading provider of electronic manufacturing services for high-tech companies. Our goal is to achieve customer satisfaction through, excellence across the board. Nistec is known for its high level customization for client specific needs. 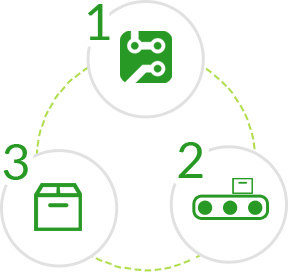 Our suite of solutions spans the entire product lifecycle – from design, manufacturing and systems integration, through order fulfillment and after-market services. 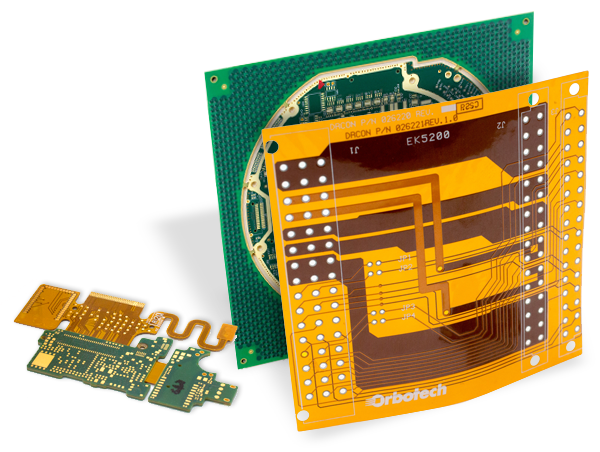 We have a demonstrated commitment to electronics design of custom solutions. It is this breadth of capability that enables our engineers to come up with creative solutions that evade others. 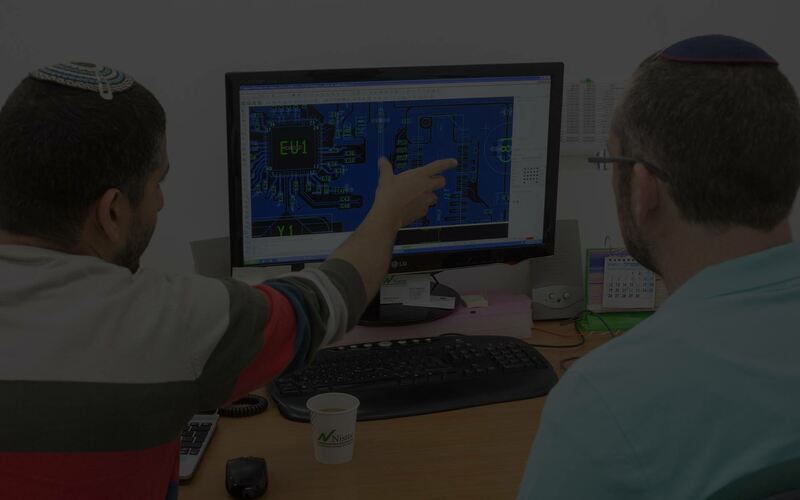 Our product engineering design teams consists of the best and brightest electrical engineers, and leverages deep electronics engineering competency in this field. While the products we’ve worked on have been wide and varied over the years, our designs have repeatedly found application in products where reliability and robustness are critical design criterion. Nistec is a leader in the delivery of innovative electronics manufacturing services (EMS). With five manufacturing plants worldwide and 900 skilled employees, Nistec turn the dream into reality for a broad range of companies with regard to communication, medical, military, security, automotive industrial, and more. Nistec provides full electronics product integration, from small- to mid-range to large infrastructures and capital equipment. A partnership with Nistec allows you to raise product quality while lowering overall costs. Nistec is a leading provider of electronic manufacturing & design services. Founded in 1985, the Nistec Corporation provides a full service from design to the end product including design, manufacture and assembly services. 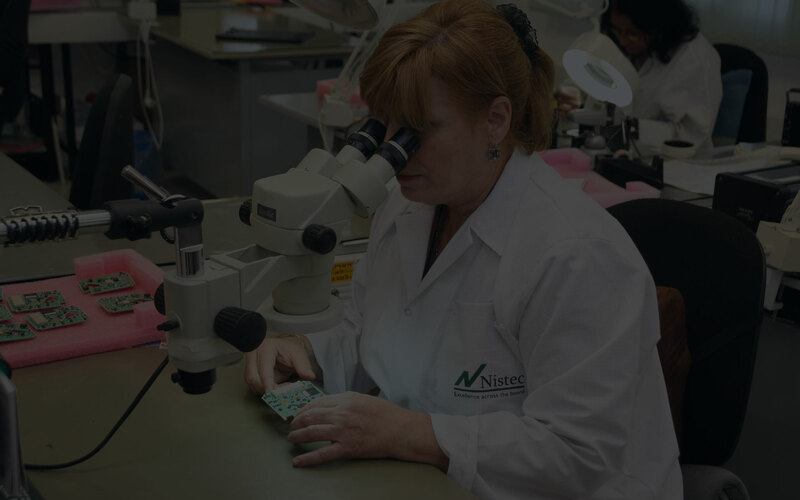 Nistec, a leader in the field of electronics manufacturing, serves more than 300 customers in diverse markets, such as the communications, medical, defense, aerospace and automotive sectors. Nistec is a trusted partner to leading electronics and technology companies across a wide variety of industries. When it comes to the communications industry, Nistec has the answers. We specialize in design and manufacture of carrier- and enterprise-class communications equipment, wireless, optical networking, wireline transmission and enterprise networking. Nistec services range from the complex assembly of high-speed optical products to comprehensive test development and radio frequency design. Our team enables communications companies to focus in-house resources on their core business and let us handle the rest. From concept to volume production, Nistec works closely with customers to maintain a focus on product excellence and supply quality. Too much demand should be a good thing − Nistec is ready, willing, and able to help you capture it. The semiconductors market is highly competitive. Speed-to-market, high quality, low cost and the ability to continually meet demand are key to the success of your products in the marketplace – and to your customers’ loyalty. We help semiconductor companies stay ahead in a dynamic world. With an agile and adaptive team of the industry’s lead­ing technology and manufacturing experts, we proactively anticipate and respond to sudden changes and pricing pressures by providing innovative, high-quality products and cost reductions throughout the entire product lifecycle. Creating a safer world is the number one objective around the globe, and Nistec is proud to play a vital part. We understand that quality, reliability and cost are critical to your success. Our mission is to enhance the competitive performance of aerospace and defense companies through a broad range of technology and manufacturing services. These services include the design, engineering, manufacture and support of high-reliability electronics systems that provide operational control, monitoring, communications, and information superiority in rigorous commercial aerospace and military environments. Whether it’s pulse oximetry or hemoglobin monitoring, Nistec manufactures and delivers medical products for OEMs that help people live longer and healthier lives. Nistec medical manufacturing capabilities meet and even surpass the most stringent standards that regulatory bodies mandate. Quality and reliability is critical in this field, and Nistec is structured to support the high-mix, low-volume needs specific to the industry. Nistec is certified to comply with ISO 13485:2003 - for full turn-key subcontracting for assembly and integration of printed circuit boards into commercial and medical products. Nistec has provided the highest quality products and services for the automotive industry. Nistec's automotive branch is focused on a truly dedicated, ``end-to-end solution`` approach for the global automotive market. In today’s automotive business environment, operational challenges have become increasingly more complex. To address these challenges, our dedicated automotive team is committed to creating and managing high-quality automotive supply chains, and delivering competitive results to customers. In every market, each board has a story, what’s yours? Yitzhak Nissan founded Nistec in 1985. Mr. Nissan creates the company’s strategic vision and set its course. 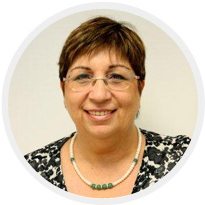 Mr. Nissan is a long-time leader in the Israeli electronics market, having served as a Presiding Member of the Israeli Association of Electronics and Software Industries. Arbel Nissan, who joined Nistec in 2004, sets strategy for Nistec’s growth, cultivating opportunities in new and existing markets. 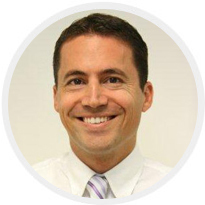 He leads the company’s business development through market and customer insight, corporate positioning, branding, advertising, solution marketing, and partner development. 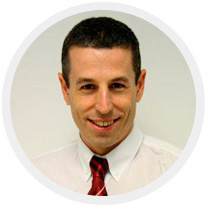 Elad Nissan joined Nistec in June of 2010 as customer-program manager. 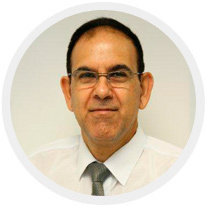 In his current role as Nistec Merkaz’s plant manager, he is responsible for all aspects of manufacturing including new product introduction, manufacturing test and supply chain management to ensure that the plant production targets are met. 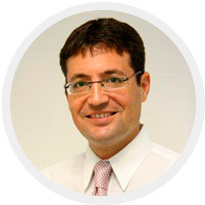 Roberto Tulman joined Eltek as its CTO in 2005 and assumed the interim position of CEO in 2014 following Nistec’s acquisition of the company. 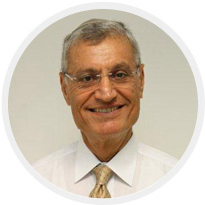 Mr. Tulman is a world renowned engineer in the field and leads the company through the complex, high-reliability PCB market. 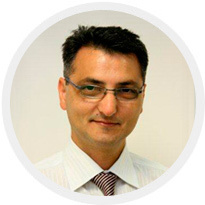 Mr. Abbasov joined Nistec in 2009. As Nistec Golan’s plant manager, Mr. Abbasov is responsible for all manufacturing, purchasing and distribution operations, ensuring plant production goals, achieving and maintaining customer satisfaction and fostering a well-trained and motivated staff. Waspy Armaz joined Nistec at 2008 through the acquisition of Tapi. As Nistec Zafon’s plant manager, Mr Armaz is responsible for all manufacturing, purchasing and distribution operations. He ensures achievement of business objectives and production schedules while guaranteeing product standards that exceed our customers’ expectations. Naomi Ojalbo joined Nistec in 2000 as Chief Human Resources Officer. The most important asset of any business is the people; Ms. Ojalbo and her HR team deliver innovative, best-in-class programs that help make Nistec one of the best workplaces in the industry. 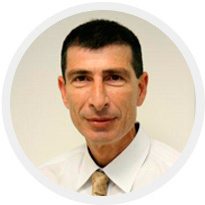 Nir Schwartz who joined Nistec in 2000, aligns Nistec’s information technology strategy with the company’s business goals. Ensuring strategic investments in integrated IT tools and processes drive Nistec customers’ success. 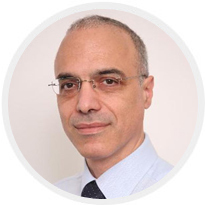 Moti Sidon joined Nistec in 2006 as Chief Quality and Technology Officer — implementing strategic plans, supervising quality assurance personnel and auditing programs according to rigorous standards. After a month of tests, our board is working well and we are progressing with development of the company’s product. Thank you very much to all those who took part in the work, for your efforts to make a top quality board in really short time schedules and mostly to: Ella in Assembly, Meital in Purchasing, and Oron for supporting the project. Many thanks for your dedication and investment in our project. I checked all the production files – everything is great. And thanks to you the material is already at the manufacturer. Thank you for your efforts with meeting schedules. “For the purpose of an important development project, our company assembled 60 boards at Nistec North. On receipt and preparation of the kit the Warehouse Manager Dina Duckneko found that one of the catalog numbers did not correlate with its description, which was not discovered in several previous assemblies for other products.